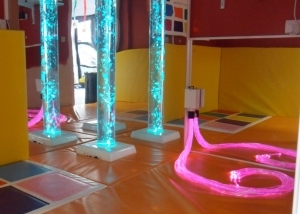 Sensory rooms, Snoezelen Rooms, sometimes known as Multi Sensory Environments (MSE), are a specifically designed space which is safe and relaxing and where people of all ages and abilities can benefit. 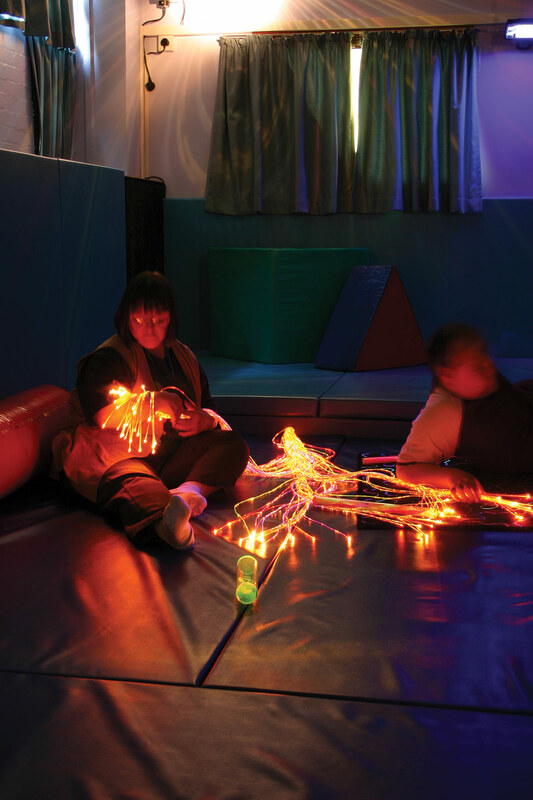 The use of a sensory room should be an enjoyable experience and should serve as space where the user can get away from the hustle and bustle of everyday life to simply relax or stimulate the senses. 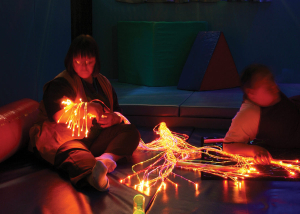 The following examples showcase our work and offer examples from the UK, USA and Canada. 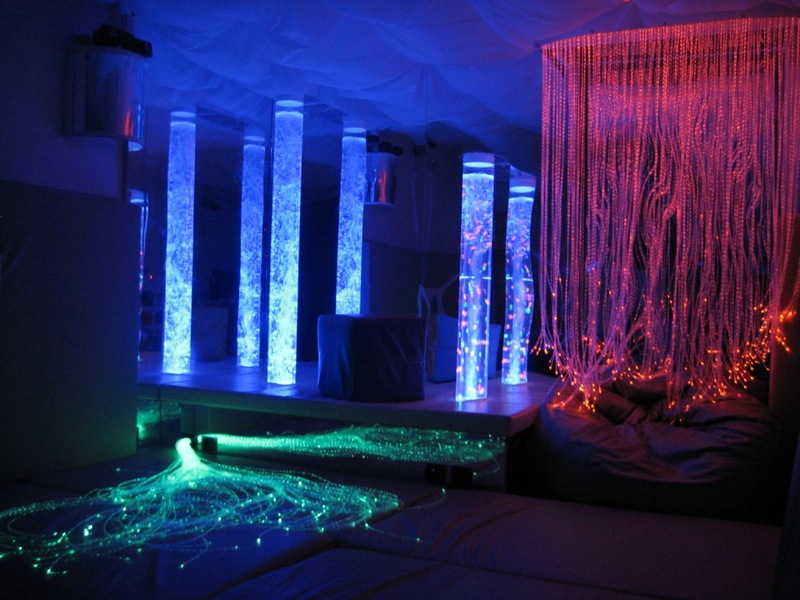 The Color Cube does all the magic in this wireless or wirefree interactive Sensory Room for Snoezelen Therapy! Flip it around to change the colour of Bubble Tubes, Fiber Optics, Interactive Panels and even the glowing clouds and waves ceiling! 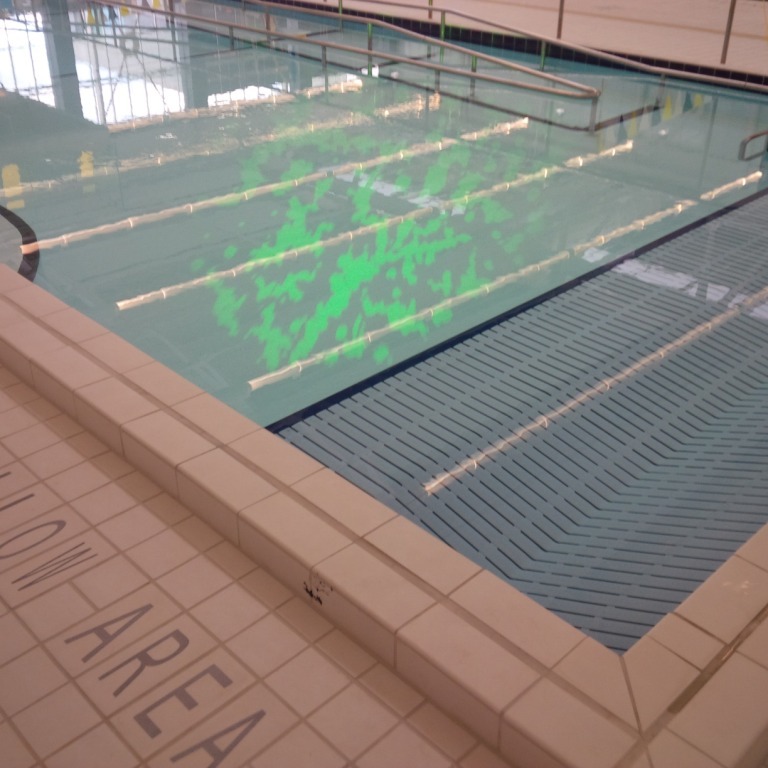 The Therapy Pool at Cornell Community Centre in Markham, Ontario provides calming, bubbling, lounge seating right in the pool! 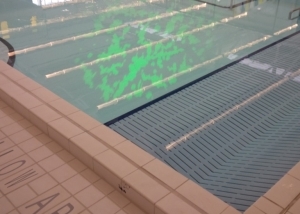 The walls and floor of the pool are soft and cushioning, while the pool water temperature is controlled to provide a warm, soothing environment. 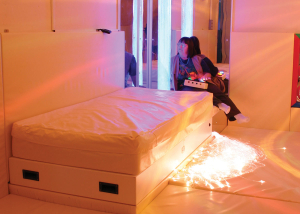 These fixed features are then enhanced with a portable multi sensory cart to provide a high powered projector light for visual stimulation. 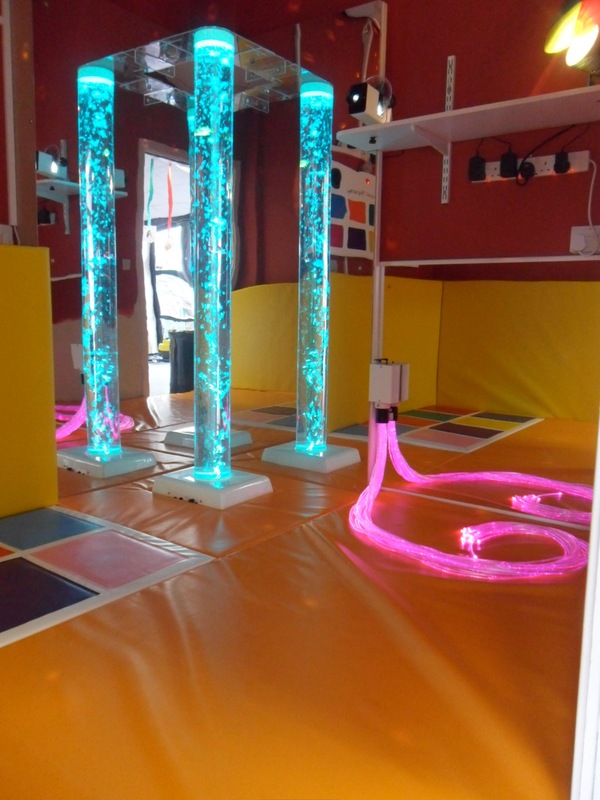 We added body floats and a Floating Sensory Bubble to allow separation from the pool space. 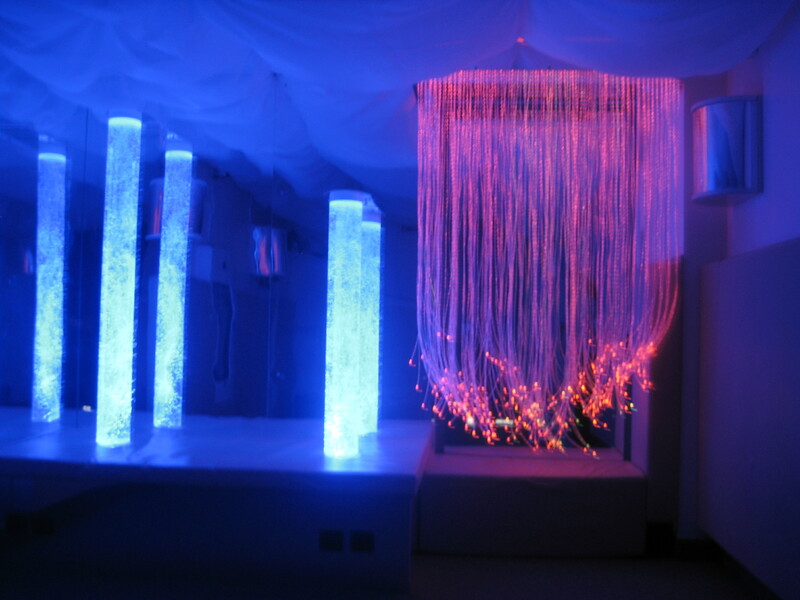 The existing Snoezelen Room was updated through collaboration with our Multi Sensory Sales Representative, Lesley Rocklin. The wall padding was in excellent condition for its age, so it was re-used or repurposed where possible. Two new wireless and interactive Bubble Columns were added, one with cascading beads; Jumbo Fibre Optic tails and a magical fibre optic comb, cleverly hidden in a mirrored shelf create a calming visual and tactile environment. 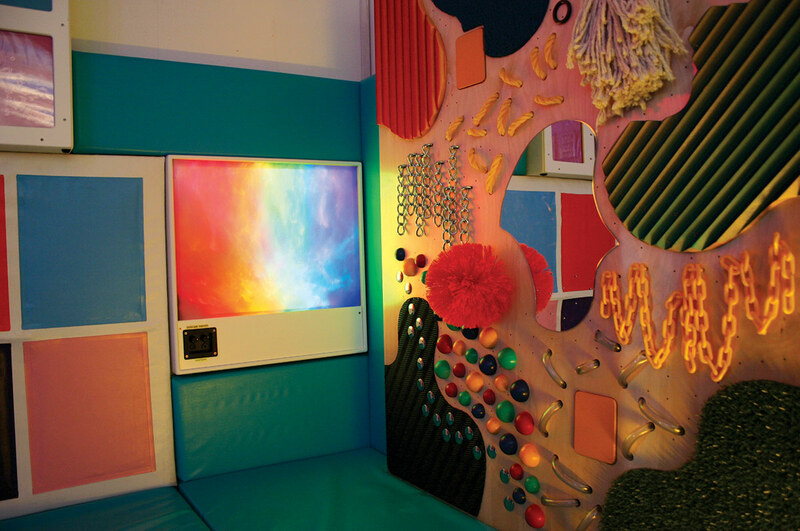 Sound Responsive Interactive Panels that reward with colour and lights have been well received by Occupational as well as Speech and Language therapists using the room. 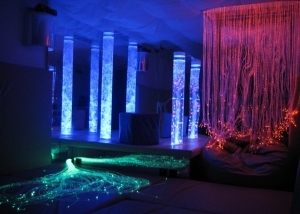 We are told that everyone loves the Infinity Panels that is not only colour changing but also sound sensitive. 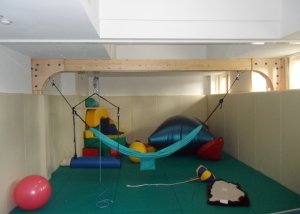 Our bespoke sensory Integration beam spanning over 4m is ideal in a room where the ceiling is not load-bearing. 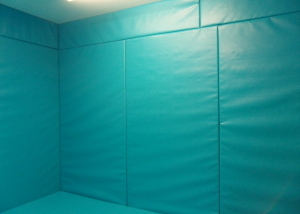 Floor to ceiling wall padding in a cool turquoise is very calming. 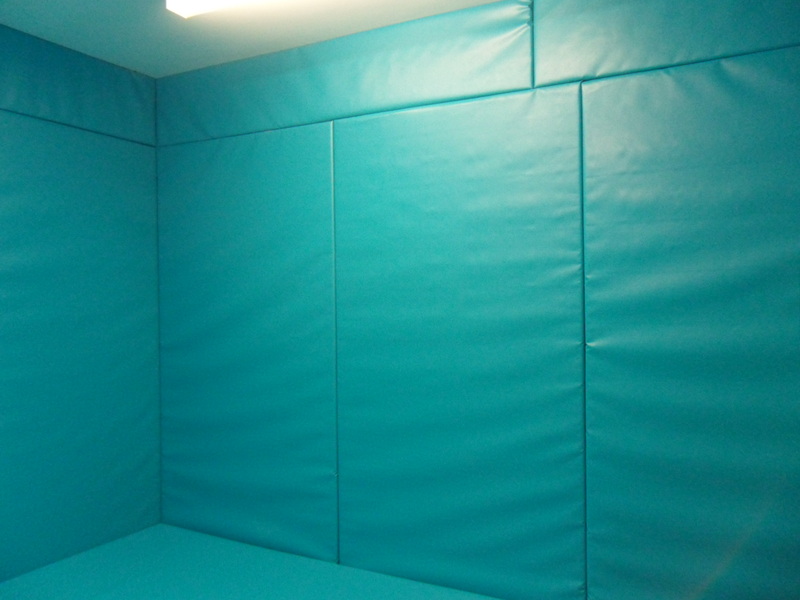 The extent of the wall padding included covering 2 windows and the door. We created a small inspection porthole. 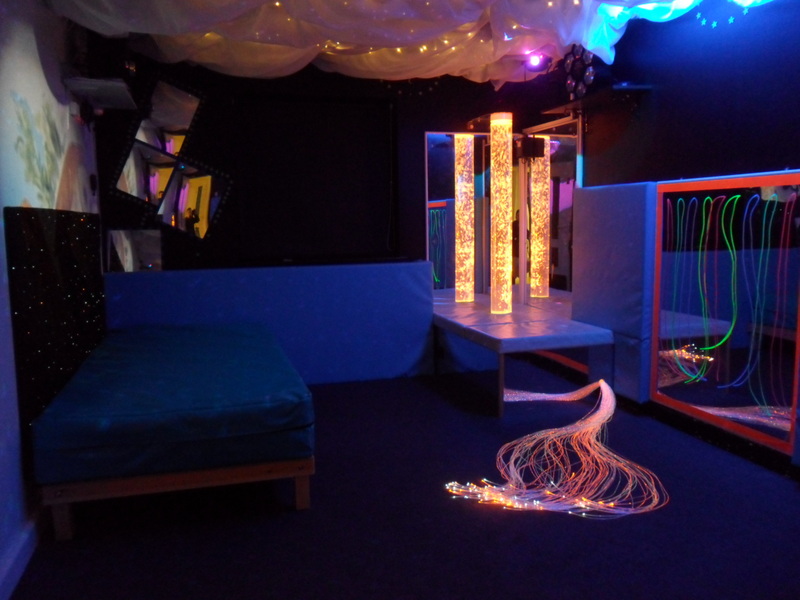 This room highlights the effectiveness of UV lighting in a Sensory Room, and also shows off the spectacular Cloud Ceiling effect. 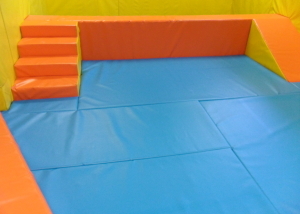 The Client wanted maximum accessibility to the Bubble Columns so they were set into the floor padding without a podium. 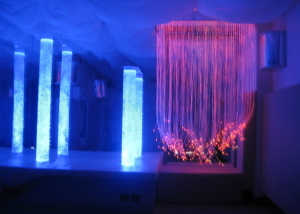 This popular Sensory room in Birmingham is used by young adults, mainly for relaxation. 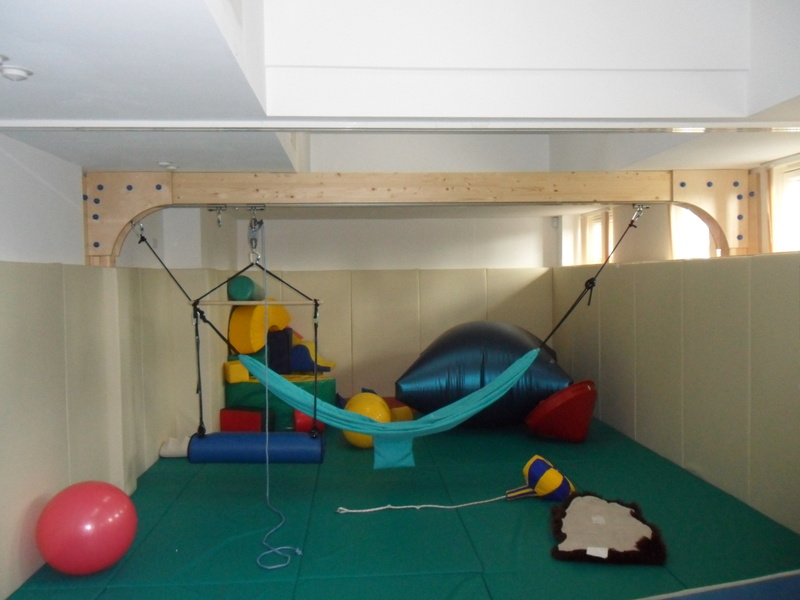 The client was keen to fit as much Sensory equipment as possible into a small space & we padded all around the equipment.